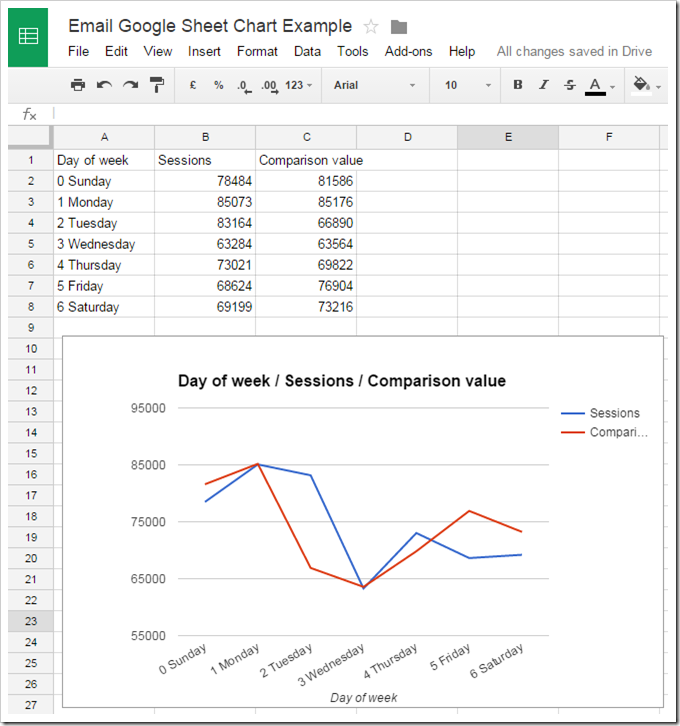 Previously I’ve written about how we use Google Apps Script to extract data from one of the Association’s online systems. We use this technique to generate charts which give us some insight to our current standing. One limitation we had was to view the charts we had to open the Google Sheet with them in. 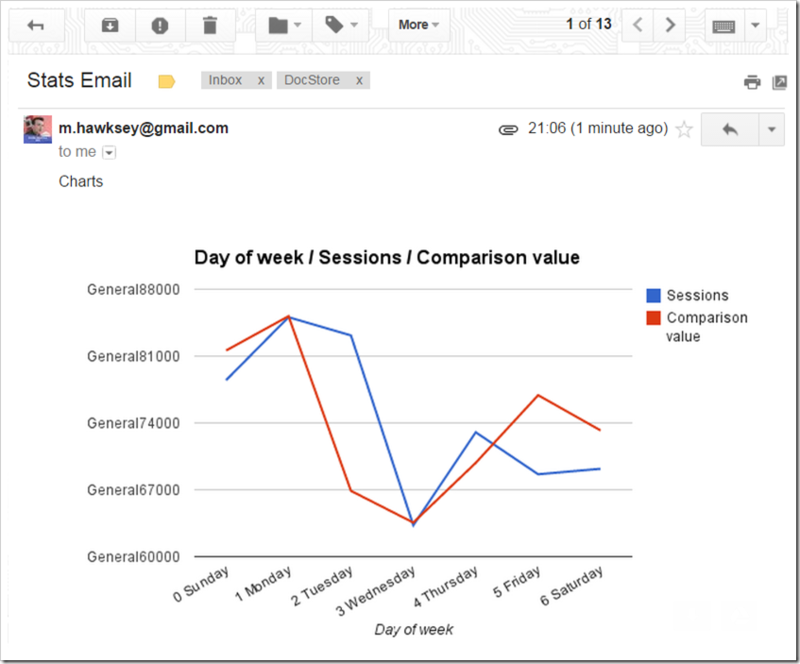 There are various techniques for automatically distributing these using Apps Script and in this post I’m going to highlight one method for emailing inline charts. 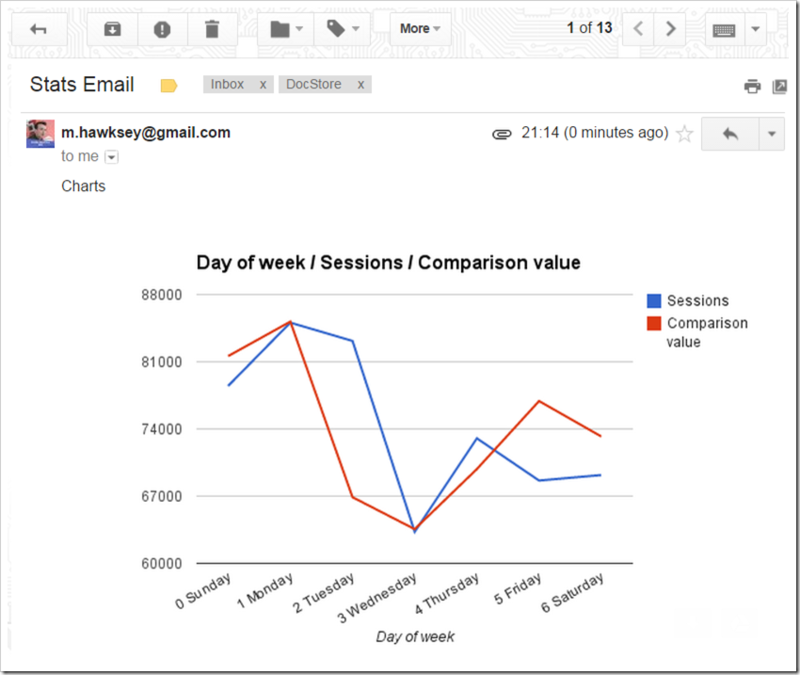 Below is what the result looks like, an email with an embedded chart, no need to download or preview attachments. Below is the same chart in the Google Sheet. If we make changes to the chart appearance or update the data, when we send the chart we get the latest version. I found the code snippet for doing this on Stackoverflow. This works well but there are two issues to be aware of. As noted in the SO comments for the chart to appear the Google Sheet containing it needs to be shared with ‘anyone with the link’. Without this all you get is a blank image. This potentially creates a data protection issue if using sensitive information. There are ways you can juggle this by such as using the IMPORTRANGE formula to only publish aggregated data. This looks like a bug which I’ve noted in this issue ticket. The second issue we discovered was that axis with numeric values end up prefixed with ‘General’ e.g. as seen below General88000. Next Post: Is learning technology fit for purpose?